Widescreen Review Webzine | News | Cinema Standards – Who Gets To Decide? Cinema Standards – Who Gets To Decide? 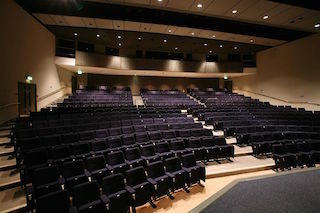 In the global business of motion picture exhibition the importance of the Digital Cinema Initiative can’t be overstated. 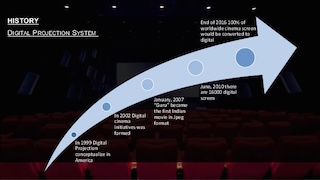 It’s entirely possible that the digital cinema transition would not have happened without DCI. What was true more than a decade ago is true today: technology that doesn’t get its seal of approval can’t be used to distribute or show a Hollywood movie. But times have changed and so have the demands of the marketplace. Fifteen years ago, it made perfect sense to have the DCI – a de facto arm of the major Hollywood studios – dictate what technology was favored over another because the studios were funding the transition. However, as the virtual print fee agreements fade into history, manufacturers and exhibitors are on their own financially. Which leaves us with this: everyone agrees that cinema standards are important. The question, in 2019 is, who gets to decide? This question gained traction in recent months following DCI’s latest proposals regarding high dynamic range. It’s important to remember that DCI is not a standards organization, at least as the term is commonly understood. To be a standards organization in the United States, DCI would have to be qualified under the American National Standards Institute; it is not. Rather, DCI is a reference group that proposes standards. The Society of Motion Picture and Television Engineers, however, is qualified under ANSI, and has standards that specifically target cinema. However, only a small number of SMPTE standards are specified by DCI. For example, DCI does not specify the format for how 3D movies are distributed and is completely silent on closed caption distribution formats and inter-connectivity. The International Organization for Standards also publishes standards that target cinema, but these are largely identical to SMPTE documents, which SMPTE submits to ISO. The distinction of publication through ISO is that it confers international status. 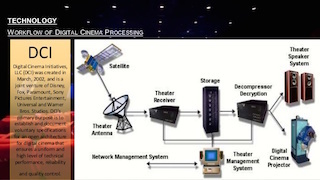 Federal Information Processing Standards do not specifically target cinema, but FIPS 140-2 Level 3 compliance is required of certain digital cinema equipment by DCI. Manufacturers take FIPS decisions seriously. For example, the iPhone is FIPS 140-2 Level 1 compliant. There are several forces at play in the global cinema business and all of them point to a short term future that promises to be challenging at best and could well turn into chaos. Much of the current controversy and confusion seems to center around the issue of bringing movies in HDR to the big screen. Three stand out in particular. First there is the competition that movie studios and exhibitors continue to face from Netflix, Amazon and other content providers. Second, there is the rising importance of China as a key player in all things movie related. Third, and perhaps most critical at the moment is the introduction of the LED screen. Samsung has been the key player in bringing LED screens to market but Sony has entered the market and there is widespread speculation that other companies will as well, perhaps as soon as at CinemaCon 2019 in Las Vegas next month. I found getting anyone to comment for the record about the issue of standards to be very difficult. Most of the people I approached politely declined. This is understandable given the power that the DCI wields over manufacturers. As for DCI itself, I reached out to them five times and was finally told by email that the organization doesn’t respond to press inquiries. Cinema technology manufacturers have their own, very practical concerns about these issues. 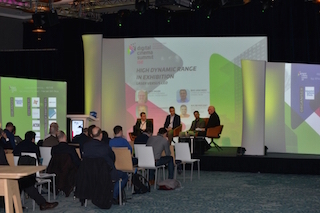 These issues took center stage last February when I hosted the Digital Cinema Summit at the annual Integrated Systems Europe convention in Amsterdam. One of the panel discussions we held that day was entitled High Dynamic Range in Exhibition – Laser versus LED. I have read and researched many so called hi-fi mags to find intelligent and well-balanced professional reviews on new home theatre equipment for my new house. Widescreen Review has, in my opinion, provided me with a no-bias approach to help me in building my new dream system. Widescreen Review is my primary resource for the latest news in DVD home theatre gear. And your Web Site is an excellent place, too.